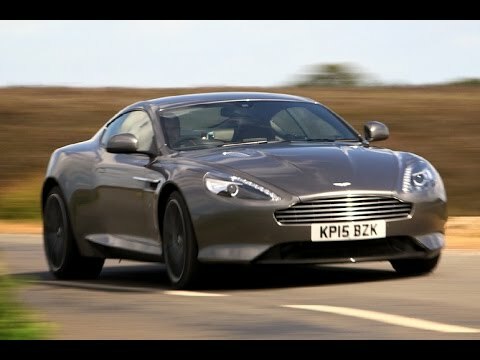 The 2015 Aston Martin DB9 gains a new trim package, known as the Carbon Edition, on both coupes and convertibles. This luxurious grand touring car offers dazzling styling, the symphony of a 6.0-liter V12 engine, and the kind of craftsmanship that comes with a century of motoring heritage...plus a special relationship to a certain British super spy. It is very good. I would strongly recommend. Safety is clearly becoming the new standard, and car manufacturers are including safety features like crash avoidance, backup cameras, and blind-spot detection as standard features in their new models. But are insurers taking the same initiative? Since safety features help reduce the chances of accidents, drivers with safer cars should be rewarded with discounts, right? Good fast clean car. Best to get. The best cars to get. The car comes fully equipped rims go with the car Audio. Need more work. More bass. The design could be from the old school model. Winning is the main thing that important in this car speed and stability and rating that the company has.